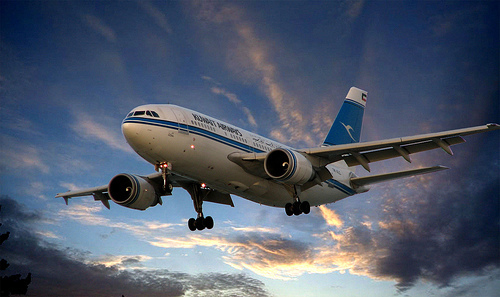 Kuwait Airways – Whats Left? After Futoor on Wednesday I got text messages stating that another Kuwait Airways Plane had an emergency landing in Jeddah right after take off and Emergency Oxygen Masks were deployed in the plane. This is the second incident in the last month of a plane having a major mechanical failure, the one before this is when the engines went out on the plane but luckily the pilots knew how to handle the planes and themselves in these emergency situations. One thing that is or was good about Kuwait Airways is that they really trained their pilots, they are probably the best in the region if not the world but I don’t know how of those pilots are left because they are picked up by Emirates, Etihad, Qatar Airways, and even GulfAir with better salaries and benefits. Our national carrier was the pride of the country, landing points in every major airport across the world, in 2012 it isn’t even a shadow of what it used to be. Kuwait Airways have 15 aircrafts in their fleet and of them 5 have been grounded as of the last two to three weeks, the Airbus A310s & A300s. I don’t even know if they have anymore spare parts to fix these planes and get them airborne let alone safe. In 2006 Kuwait Airways placed an order for 17 to 19 New Aircrafts, a combination of Airbus 320s & Boeing 787 Dreamliners which was approved by the Council of Ministers. The amount totaled $3 Billion and right after that was blocked by Parliament which they stated at the point would privatize Kuwait Airways giving the New Investors the choice of Aircraft, its now 2012 and still no steps have gone forward in the privatization direction. They were supposed to receive a third of their fleet by 2010 and the rest by the beginning of 2014 since they whole fleet had to be replaced because of their age. I think based on recent events their age is showing and its not a good sign. Lets not even discuss the level of service or rudeness of the staff, that’s a whole different post but sometimes I can’t blame them because the people who are getting on the plane are even ruder. Kuwaitis act very badly on Kuwait Airways and get away with it, but they wouldn’t even think of trying that on any other airline because they know they would get kicked off. The staff feels like they are falling apart as well, even though there are still some good people there, they are the minority these days. I believe in a National Carrier but in this case the risk of taking Kuwait Airways is not a risk I am willing to take. I wouldn’t even pay for a ticket on Kuwait Airways in the first place, I have flown Kuwait Airways twice in the past 10 years and both times have been a disaster of an experience but now its getting dangerous to fly on them. Even if they wanted to get new planes there are three possible ways, they would lease it from one of these Plane Dealers at a very high rate to get it as early as possible, and even if they did they would get it before 2014. They can buy it from Boeing or Airbus but that won’t be available except until 2016 and even if someone cancels there order they would have to check if Kuwait Airways have the same plane requirements to see if they match so that they could get it sooner, or they just move up a bit in the que. In any case it doesn’t look like they can even get new planes any time soon. There has to be less politics in Kuwait Airways and they need to clean it up, I don’t know how much longer it can survive limping from year to year. Check out the video below: The 787 Dreamliner is a plane took time to come market while Boeing worked out all the kinks in it, but it has been worth it, its a wider plane with a higher ceiling making it more comfortable for people to fly in. It also has a steep take off and is a very dynamic plane which is very maneuverable, check out the video below at an airshow in the UK where Boeing showcases the new Qatar Airways 787 Dreamliner. From the makers of Cars 2 comes Planes, same fun style but it was a direct to DVD movie. If you liked Cars then you will enjoy this too, I haven’t seen Cars 2 yet but I really do want to see it soon. Moto Art specifically make furniture out of Old Planes, from the 50s, 60s, 70s, and 80s. Basically whatever they can get their hands on from these old school planes. 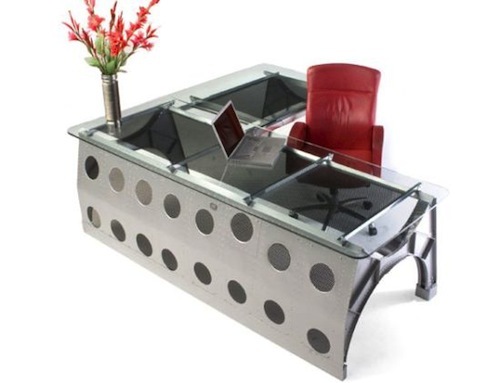 They take a fuselage or an engine or a tail piece, they some how manage to turn it into a piece of furniture. I do love their style and they have done an amazing job with this piece from a B-29 Bomber. The problem is the price that comes with these pieces, since they have to go to the airplane scrap yard to get it and its not cheap, so something like this would probably be between $10’000 to $20’000 but I still like the way their furniture look, its original and can’t be copied. I have been tired form the last few quick trips over the last couple of weeks. It was a quick stop in London then back again, so I was flying through a few times. The best thing I like to do is sit next to the Window and watch the planes come and go. 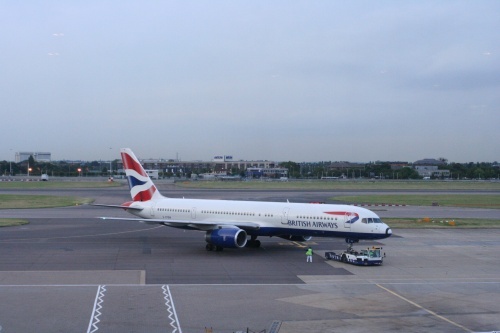 British Airways have not been the best airlines over the past couple of years but they are still pretty good, everyone seems to have a horror story these days flying on an airline and I can’t blame them. 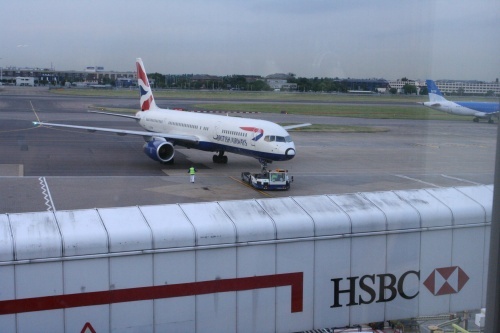 Going through terminal 5 was very confusing, it was built to be like a maze with a million escalators, I have never went up and down so many times just to find the way out of the airport. And Terminal 1 looks like an after thought, I was just happy they had some food since I was hungry. Still seeing the colors of British Airways on those planes just feels very nice, I love taking pictures of them, but one time I would like to take pictures directly from the runway if I could to get the majestic look of these planes. Over the past couple of days I had to return due to an emergency and my return ticket was through Lufthansa. When I came to make the booking, they found me a seat, but within 15 minutes I get a call notifying me that both flights out of San Francisco were canceled. It was due to the strikes taking place in Frankfurt, this is the first time that I have seen Lufthansa strike, I would expect from the British, Italian, and French but not the Germans. 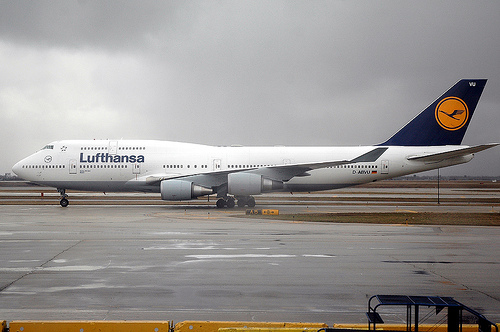 Never thought Lufthansa would strike and such bad timing. It was supposed to be a four day strike but took a little longer then expected, it seems they need to clean house or do something to solve this. I had to take another route to get back home to Kuwait, and it seems I was lucky to even get a seat since flights to Kuwait are pretty much booked up.